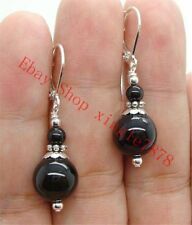 6-12mm Black Onyx Silver Earring Leverbacks. We will respond within 24-48 hours, in most cases sooner. Gold Plated Leverback and spacers. Beautiful Black Faceted Agate Gemstone. Length: approx.48mm/ 2". 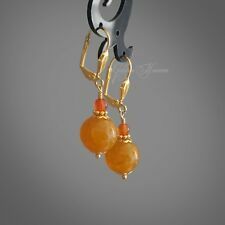 Cute yellow & Carnelian Agate Earrings. Carnelian orange agate. Natural Yellow Agate Stone. Gemstones: Black Onyx Agate. Gold Plated Leverbacks and spacers. Available only for. Due to the difference between different monitors, the picture may not reflect the actual color of the item. We believe that a good communication will be helpful for solving the problems. Material: Agate. Style: Earrings. We believe that a good communication will be helpful for solving the problems. We will work with you to until you are satisfied. Still have another enquiries?. Our products are NOT COUNTERFEIT! We can afford to be very competitive by having our own designers, manufacturers, and marketers. Material: Black agate. Style: Earrings. Condition: New. We believe that a good communication will be helpful for solving the problems. Style: Earrings. Material: Stone. We believe that a good communication will be helpful for solving the problems. Gemstones: Black Onyx Agate. Gold Plated Leverbacks and spacers. Norway, Spain, Poland, Portugal, Finland, France, Sweden, Switzerland. United Kingdom, Germany, Denmark, Netherlands, Hong Kong. 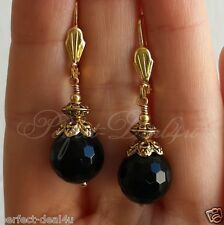 Black Faceted Agate Gemstone with Black Glass Crystals Gold Plated Hook Earrings. Gold plated Hooks and spacers. Available only for. We believe that a good communication will be helpful for solving the problems. Due to the difference between different monitors, the picture may not reflect the actual color of the item. Gems Info: Round red agate, good quality, high luster. Length: 1". Material : stone,925 Sterling Silver. Style: Earrings. Due to the difference between different monitors, the picture may not reflect the actual color of the item. We believe that a good communication will be helpful for solving the problems. This wonderful secure hold style gold filled interchangeable leverback hoop perfect for your jewelry making or for your interchangeable earring charms fine jewellery, because the loop at the bottom is open, so you can switch in dangle / charm whenever you want. Material : lapis lazuli, agate. Size : 12mm. Style: Earrings. Due to the difference between different monitors, the picture may not reflect the actual color of the item. We believe that a good communication will be helpful for solving the problems. Gold Plated Leverback and spacers. Red Carnelian Agate Stone. Canada, Australia, Austria, Brazil, Italy, Ireland, Belgium, Brazil. Available only for. We believe that a good communication will be helpful for solving the problems. Processing orders. Style: Earrings. Due to the difference between different monitors, the picture may not reflect the actual color of the item. Material: Stone. We believe that a good communication will be helpful for solving the problems. Material : Agate ,925 Sterling Silver. Style: Earrings. Due to the difference between different monitors, the picture may not reflect the actual color of the item. Size:1 1/2 ". Condition : New. We believe that a good communication will be helpful for solving the problems. Tibetan Silver Handmade Leverback Dangle Earrings Drop 40 mm. Purple Agate Semi Precious Gemstones. Stones: Red "Cracked" Agate, White Fresh water pearls. Gold plated Leverbacks and spacers. Available only for. Material: Agate. Due to the difference between different monitors, the picture may not reflect the actual color of the item. Style: Earring. We believe that a good communication will be helpful for solving the problems. 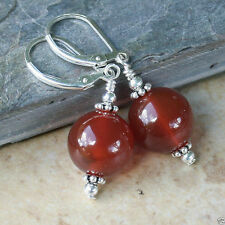 Earrings - Handmade Agate Beads 925 sterling silver earrings. Agate Beads 14 mm. In my Gallery you will find many more different earrings and bracelets and pendants. All Swarovski Crystal Jewellery in my range have been handmade using. Don’t have any negative and neutral evaluation when you leave. We will do our best to resolve the problem. Gems info: Multi-color agate. Hook: 925sterling silver hook (see picture). Color: Multi-color (see picture). We believe that a good communication will be helpful for solving the problems. Material:pearl agate. Style: earring. Beads Size:10mm. Condition: New. Material: Agate ,925 Sterling Silver. Style: Earrings. Due to the difference between different monitors, the picture may not reflect the actual color of the item. We believe that a good communication will be helpful for solving the problems. Swarovski® crystal components are made in Austria and are considered the finest products of their kind in the world. All Swarovski Crystal Jewellery in my range have been handmade using. In my Gallery you will find many more different earrings and bracelets and pendants.